Why Buy Garden Sheds From Us? You are here: Home / Why Buy Garden Sheds From Us? Why Buy Your New Garden Shed From Us? At The Garden Shed Company you will find great deals when buying garden sheds, garden beds and much more. By not having a traditional “bricks & mortar store” we keep our overheads low and pass the savings on to you. But we are not just about selling at low prices, we want you to get the right advice and outstanding value for money with every purchase. The Garden Shed Company are agents for Garden Master, Galvo, Pinehaven & Duramax garden sheds. Except for our PVC sheds, everything we sell is made right here in NZ and has been developed withstand the Kiwi environment. These are great garden products designed for your needs. We supply all our products nationwide within the North and South Islands. Our competitive freight deal means that with the exception of our heaviest or bulkiest items, you pay no more for delivery whether you live in Wellington or Whangarei, Bulls or Blenhiem. Our top selling Galvo Premium sheds are offered in Desertsand, Karaka Ironsand, Grey Friars and Ebony. They are priced competitively while still being strong, durable and good looking. The design of these cannot be modified but there is a range of useful accessories available. There’s also the Galvo Standard range which is super affordable. If you have a need for a garden shed with windows, doors in specific places or other features then our Garden Master range is right for you. Each model is manufactured on demand giving you plenty of control over the design of your finished shed. Long lasting, superior quality! Our solid pine sheds can be finished to look either rustic or upmarket, and can be fully customised from the ground up to suit your very unique requirements. The Duramax range is perhaps the ultimate in low maintenance shed design. Perfect in highly corrosive areas such as Rotorua or on the coast. 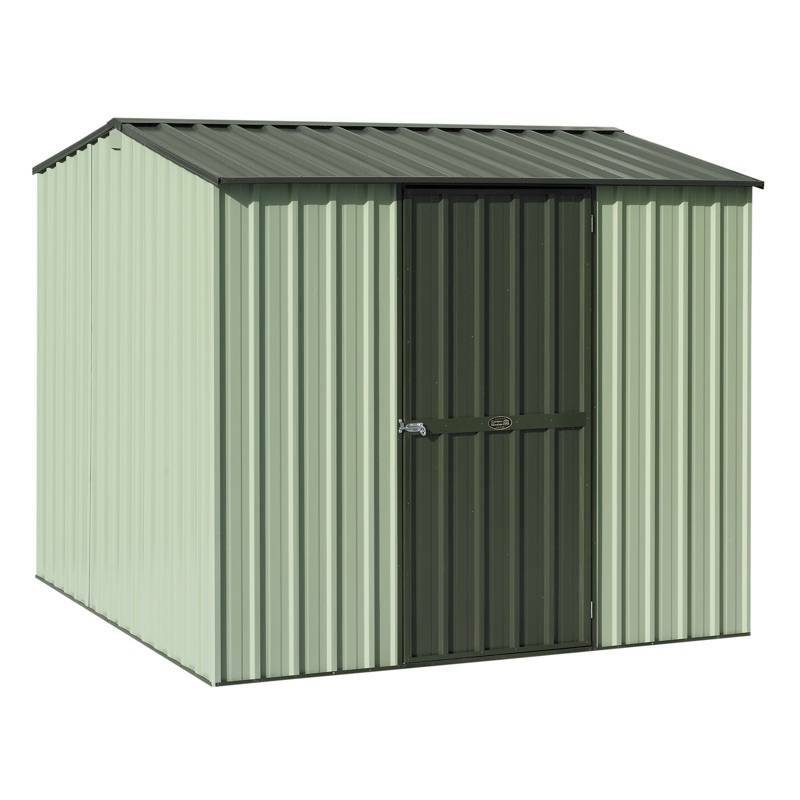 Not satisfied with just offering NZ’s most popular garden sheds, we have an ever expanding range of quality products. All products delivered to your door with factory guarantees!